The Tigers truly reflect the city they represent. 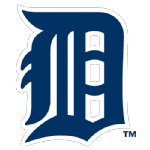 In the first half of the 20th century, the Tigers flourished like the automobile industry and the city of Detroit. They were a vital and thriving baseball enterprise, winning seven pennants and more games than any team except the Yankees. They never finished last, and boasted some of the greatest hitters and personalities the game has seen. As the second half of the century progressed, the auto industry, Detroit and the Tigers declined together. They managed only two championship seasons, their stadium, once considered stately and quaint, seemed tired and charmless. The team endured long stretches of mediocrity and, like Detroit itself, spent much time searching for the formula that would recapture past glories. Detroit played in the National League during the 19th century, but the lack of fan support doomed the franchise. Detroit joined the American League as a charter member in 1901. They were known as the Tigers from Day One; old timers said it was due to the orange stripe on their uniform socks. They had an auspicious debut, winning their first-ever game against Milwaukee 14-13 after trailing 13-4. The Tiger franchise was electrified in 1905 with the arrival of Tyrus Raymond Cobb, a once-in-a-generation ballplayer, who over the next 24 seasons (the last two with Philadelphia) would win 12 batting titles, nine of them consecutively. He retired with a slew of records, including the highest lifetime average (.367) and most hits ever by a player until Pete Rose eclipsed that mark in 1985. Cobb created an enduring legacy as a player and personality, and an unmatched record as a hitter. This was acknowledged when he won the most votes among the five players selected as the initial inductees into the Hall of Fame in 1936. Cobb earned more votes than Babe Ruth, Christy Mathewson, Walter Johnson or Honus Wagner. In his earliest seasons, Cobb patrolled center field for an aggressive freewheeling team managed by the colorful and dynamic Hughie Jennings. With Cobb and "Wahoo" Sam Crawford (2,964 career hits and 309 triples — still the all-time record), the Tigers won three consecutive pennants in 1907-09 but lost all three World Series, the first pair to the Cubs and the third to the Pirates. The Tigers came up short during the next decade, despite the slugging of Cobb and Harry Heilmann, one of the greatest right-hand hitters of all time. He owns a lifetime average of .342 (one of the top 10 marks all time) and won four batting titles with averages of .394, .403, .393 and .398. In 1912, the Tigers moved their baseball activities to a new ballpark on the corner of Michigan and Trumbull Avenues called Navin Field, then Briggs Stadium and eventually Tiger Stadium. They would play more than 6,800 games there during more than 88 years before moving to Comerica Park in 2000. Jennings resigned the team and Cobb became manager in 1920. His record as a manager was spotty, and finished his career in Philadelphia. The next significant personnel move for the Tigers was the acquisition of Mickey Cochrane from the Philadelphia A's in 1933. Cochrane, considered one of the best catchers in history, combined on field talent with an ability to lead and rally teammates. He was soon joined by the "G-Men" - Charlie Gehringer, Hank Greenberg and Leon "Goose" Goslin - Hall of Famers all. Gehringer was the best second baseman of the 1930s - a lifetime .320 hitter; 13 times he batted better than .300 and four times he drove in more than 100 runs. Greenberg, a lifetime .313 hitter, led the American League in home runs four times and drove in more than 100 runs seven times. In 1938 he made a serious run at Babe Ruth's 60 home run record, finishing with 58. Goslin, a lifetime .316 hitter acquired in a trade with the Washington Senators, would knock in more than 100 runs for Detroit three years in a row. Along with pitching ace Tommy Bridges, the Tigers won consecutive pennants in 1934-35 and finally won their first world championship with a six game decision against the Cubs in 1935. Cochrane ended his career after being beaned in 1937, but the team added slugger Rudy York and buttressed the pitching staff with Bobo Newsom and Schoolboy Rowe, allowing the Tigers to claw to the top again in 1940 and 1945, winning the latter World Series against the Cubs again. Ten years later a new anchor appeared in the person of Al Kaline, who became the youngest-ever batting champion (.340 in 1955) at age 20. Kaline's tenure featured veterans such as Norm Cash and fan favorite Willie Horton. They contended frequently, but reached the Promised Land only once - 1968 when Denny McLain became baseball's last 30 game winner (31-6, 1.96 ERA)) and the Tigers defeated the Cardinals in seven games. Sparky Anderson was the next anchor, beginning his managerial reign in 1979. By far his best year came five seasons later, when his 1984 team won 10 of its first 11 games and 35 of 40 leading the American League East wire to wire. They had punch in the lineup with Lou Whitaker and Alan Trammel, Kirk Gibson and Howard Johnson, and a knockout pitching staff - Jack Morris (19-11) led the starters and Willie Hernandez closed to the tune of 32 saves. They easily dispatched the Padres in a five-game World Series. Tough times ensued after that, sans for a 1987 Eastern Division title. The nadir was 2003 when they challenged the New York Mets modern record of 120 losses and came up one short at 43-119. Amazingly, a competitive turnaround occurred quickly when Jim Leyland returned to the organization where he coached for 18 seasons as manager prior to the 2006 season. Led by Magglio Ordonez (.298 average, 24 homers, 104 RBI), and Justin Verlander (17-9), the Tigers shocked baseball by winning the American League pennant and advancing to the World Series against St. Louis. They lost the Series in five games, but the team was once again a factor in the American League Central as it hoped to add to its 10 pennants, four world championships, 23 batting champions and 11 home run champions through 2010. Did you know that during their first Opening Day the Tigers were trailing 13-4, but rallied in the ninth inning to win — setting an American League record for largest comeback on Opening Day ? Ballpark first year attendance marks for the Detroit Tigers are: Bennett Park (1901) 259,430; Tiger Stadium (1912) 402,870; and Comerica Park (2000) 2,533,752.